12. My employer has offered to give us comp time instead of overtime. I’d much rather have the time off than the additional pay. Is this allowed? The federal overtime provisions are contained in the Fair Labor Standards Act (FLSA). Some states also have overtime laws. For more information, see the agency in your state which handles wage and hour/labor standards violations, listed on our site’s state government agencies page. More than eighty million American workers are protected (or “covered”) by the FLSA; however, not all of these workers are eligible for overtime. The first step in determining whether you are eligible for overtime is to determine whether your employer is covered by the FLSA. There are two ways in which an employee can be covered: “enterprise coverage” and “individual coverage.” Either standard is sufficient for the employer to be subject to the FLSA’s overtime provisions. ► Examples of employees who are involved in interstate commerce include those who: produce goods (such as a worker assembling components in a factory or a secretary typing letters in an office) that will be sent out of state, regularly make telephone calls to persons located in other States, handle records of interstate transactions, travel to other States on their jobs, and do janitorial work in buildings where goods are produced for shipment outside the State. ► they work a total of more than 8 hours a week for one or more employers. Not necessarily. First, the type of job you do may be one that is specifically excluded from protection under the FLSA or its overtime provisions. Second, if you are paid a salary and perform the duties of an exempt employee, you will not be eligible for overtime. These distinctions are covered on our site’s page on exemptions from overtime. There are some states that require payment for hours worked in excess of eight in one day, but the federal law and the law of most states is based on a 40-hour workweek. 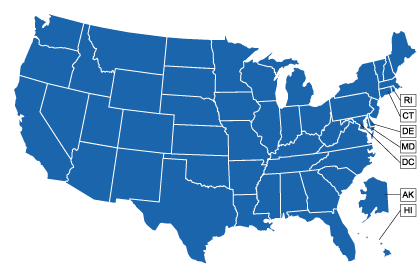 For more information on state overtime laws, see the agency in your state which handles wage and hour/labor standards violations, listed on our site’s state government agencies page. An employee’s workweek is a fixed and regularly recurring period of 168 hours — seven consecutive 24-hour periods. It does not have to coincide with the calendar week, but may begin on any day and at any hour of the day. Different workweeks may be established for different employees or groups of employees. Averaging of hours over two or more weeks is not permitted. Normally, overtime pay earned in a particular workweek must be paid on the regular pay day for the pay period in which the wages were earned. The overtime requirement may not be waived by agreement between the employer and employees. An agreement that only 8 hours a day or only 40 hours a week will be counted as working time also fails to comply with the law. An announcement by the employer that no overtime work will be permitted, or that overtime work will not be paid for unless authorized in advance, also will not impair the employee’s right to compensation for compensable overtime hours that are worked. FLSA overtime is calculated at time and one-half of an employee’s “regular rate” of pay. Subject to some special rules, the regular rate is the total non-overtime compensation received by an employee (for work) divided by the number of non-overtime hours these wages are intended to compensate. Most wage “augments” must be included in the regular rate, such as productivity bonuses, longevity pay, or shift differentials. ► payments for occasional periods when no work is performed due to vacation, holidays, or illness. For example, no part of a flat sum of $90 to employees who work overtime on Sunday will qualify as an overtime premium, even though the employees’ straight-time rate is $6.00 an hour and the employees always work less than 10 hours on Sunday. Similarly, where an agreement provides for 6 hours pay at $9.00 an hour regardless of the time actually spent for work on a job performed during overtime hours, the entire $54.00 must be included in determining the employees’ regular rate. “Comp time,” or compensatory time refers to the practice of allowing an employee to take extra time off from work after a long week, instead of being paid overtime wages. What you may not know, however, that in most situations, the practice is illegal, if you are working for a private, non-governmental employer, and you are a “non-exempt” employee otherwise eligible for overtime pay. For more information about comp time, please see our site’s comp time page.